Looking to work in Canada? Then the Quebec Skilled Worker Program may interest you. You do not need a Canadian job offer to qualify and there are unique rules for choosing immigrants who will adapt well. 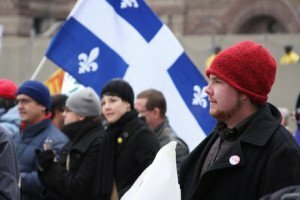 Quebec has its own unique rules for choosing immigrants who will adapt well to living in the province. The Quebec Skilled Worker program is an immigration program that does not require a valid job offer from a Canadian employer. The program selects candidates for permanent residence who have the intention of residing in Quebec and are likely to become economically established there. The Quebec Skilled Worker program has specific qualifying criteria based on Quebec’s cultural uniqueness. An applicant can include their spouse, common-law partner and any dependent children on their application – applicants must note that additional points are awarded to applicants with families (especially those with young children) under the Quebec Skilled Worker program. The program has no list of eligible occupations. If the criteria set out by Quebec's immigration authorities are met, the individual will qualify for the program regardless of their occupation or field of expertise. Applicants who are successful under the Quebec Immigration selection system are issued a Quebec Selection Certificate, at which point they may apply for a Canadian permanent resident visa. To qualify for a Quebec Selection Certificate, Skilled Worker applicants must score enough points under the Quebec Immigration selection system. A single applicant must score at least 49 points based on the criteria and an applicant with a spouse or common-law partner must score at least 57 points. Quebec Skilled Workers applicants are not assessed based upon the selection factors of the Federal Skilled Worker Program.